Lineage. Established as 325 Fighter Wing, All Weather, on 10 May 1948. Activated on 9 Jun 1948. Redesignated as: 325 Fighter-All Weather Wing on 20 Jan 1950; 325 Fighter-Interceptor Wing on 1 May 1951. Inactivated on 6 Feb 1952. Redesignated as 325 Fighter Wing (Air Defense) on 14 Sep 1956. Activated on 18 Oct 1956. Discontinued, and inactivated, on 1 Jul 1968. Redesignated as 325 Fighter Weapons Wing on 17 Jun 1981. Activated on 1 Jul 1981. Redesignated as: 325 Tactical Training Wing on 15 Oct 1983; 325 Fighter Wing on 1 Oct 1991. Assignments. Fourth Air Force, 9 Jun 1948 (attached to Western Air Defense Force, 10 Nov 1949-31 Jul 1950); Western Air Defense Force, 1 Aug 1950-6 Feb 1952. 25 Air Division, 18 Oct 1956; Seattle Air Defense Sector, 10 Feb 1960; 25 Air Division, 1 Apr 1966- 1 Jul 1968. USAF Air Defense Weapons Center, 1 Jul 1981; First Air Force, 12 Sep 1991; Nineteenth Air Force, 1 Jul 1993-. Operational Components. Wing. 302 Troop Carrier: attached 6 May 1950-8 Jun 1951. Group. 325 Fighter (later, 325 Fighter-Interceptor; 325 Fighter; 325 Operations): 9 Jun 1948-6 Feb 1952; 18 Oct 1956-25 Mar 1960; 1 Sep 1991-. Squadrons. 1 Tactical Fighter Training: 1 Jan 1984-1 Sep 1991. 2 Fighter-Interceptor Training (later, 2 Fighter Weapons; 2 Tactical Fighter Training): 1 Jul 1981-1 Sep 1991. 4 Troop Carrier: attached 1 May-17 Jul 1950. 82 Tactical Aerial Target (later, 82 Tactical Aerial Targets): 1 Jul 1981-15 Oct 1983. 95 Fighter Interceptor Training (later, 95 Tactical Fighter Training): 1 Jul 1981-1 Sep 1991. 123 Fighter: attached 10-12 Feb 1951. 317 Fighter-Interceptor: attached 18 Oct 1956-c. Jun 1957. 318 Fighter-Interceptor: attached 18 Oct 1956-c. Jun 1957; assigned 25 Mar 1960-1 Jul 1968. 460 Fighter-Interceptor Training: 15 Jan-15 Oct 1982. 475 Test: 1 Jul 1981-15 Oct 1983. 498 Fighter-Interceptor: attached 18 Oct 1956-c. Jun 1957; 1 Jul 1963-25 Jun 1966. 4756 Air Defense: 1 Jul 1981-15 Oct 1983. School. USAF Interceptor Weapons: 1 Jul 1981-15 Oct 1983. Stations. Hamilton AFB, CA, 9 Jun 1948; Moses Lake AFB, WA, 23 Nov 1948; McChord AFB, WA, 20 Apr 1950-6 Feb 1952. McChord AFB, WA, 18 Oct 1956-1 Jul 1968. Tyndall AFB, FL, 1 Jul 1981-. Aircraft. F-61, 1948; F-82, 1948-1951; F-94, 1950-1952; C-54, 1950; F-51, 1951- 1952. F-86, 1956-1957; F-102, 1956-1960; F-106, 1960-1968. F-101, 1981-1982; F-106, 1981-1984; T-33, 1981-1988; TF/QF/PQM-102, 1981-1983; QF-100, 1982-1983; F-15, 1983-2010; F-22, 2003-. Operations. Provided air defense of the U.S. west coast, 1948-1952 and 1956-1968. During 1950, controlled a troop carrier squadron and from May 1950 to Jun 1951, provided training for elements of a troop carrier wing. From Feb-Jul 1968, operated an air defense detachment at Osan AB, South Korea. Provided Air Defense Weapons Center operational and technical advice on air defense and tactics, 1981-1983. Tested and evaluated new air defense equipment, including use of the PQM-102 and QF-100, former operational aircraft modified to function as manned/unmanned drones. In Oct 1983, the wing assumed a new mission of conducting qualification training of tactical aircrews. Beginning in 1983, deployed T-33 and later, F-15 aircraft to USAF, Air National Guard, Marine Corps, and Navy air units to provide electronic countermeasures and dissimilar air combat training and to increase aircrew combat proficiency. Performed alert duties, 1988-1990, intercepting unidentified aircraft and assisting the U.S. Drug Enforcement Agency in anti-smuggling efforts. Became host unit at Tyndall AFB in Sep 1991. Began conducting the Air Force’s initial qualification training program for the F-22 in 2003. Last F-15 Eagle left Tyndall in late Sep 2010 with inactivation of the F-15 squadrons. Decorations. Air Force Outstanding Unit Awards: 1 Jan 1967-1 Mar 1968; 1 Jul 1981- 31 Mar 1983; 1 Jun 1983-31 May 1985; 1 Jul 1993-30 Jun 1995; 1 Jul 1996-30 Jun 1997; 1 Jul 1997-30 Jun 1999; 1 Jul 1999-30 Jun 2001; 1 Jul 2002-30 Jun 2004; 1 Jul 2004-30 Jun 2005; 1 Jul 2005-30 Jun 2006; 1 Jul 2006-30 Jun 2007; 1 Jul 2008-30 Jun 2009. Bestowed Honors. Authorized to display honors earned by the 325 Fighter Group prior to 9 Jun 1948. Service Streamers. None. Campaign Streamers. World War II: Tunisia; Sicily; Naples-Foggia; Anzio; Rome-Arno; Southern France; North Apennines; Po Valley; Air Offensive, Europe; Normandy; Northern France; Rhineland; Central Europe; Air Combat, EAME Theater. Decorations. 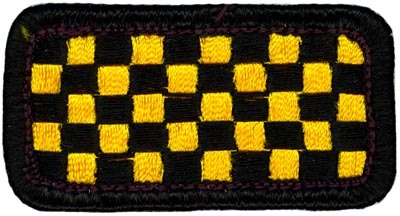 Distinguished Unit Citations: Sardinia, 30 Jul 1943; Italy, 30 Jan 1944. Emblem. Approved on 5 Mar 1957.